A team of researchers from Ecole Polytechnique Federale de Lausanne (EPFL) located in Switzerland has created contact lenses that feature mini telescopic lenses capable of enhancing vision. 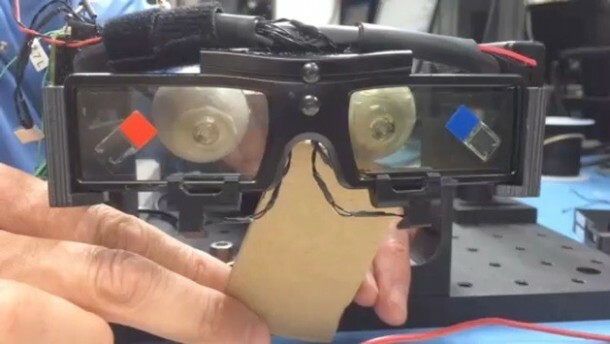 These lenses are controlled via smart glasses that respond to winking of the eye by user. 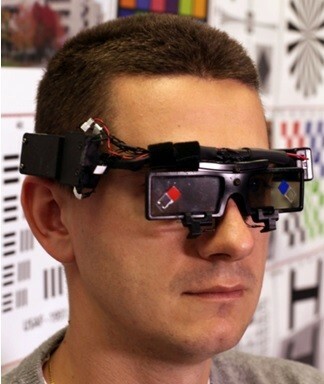 This gadget allows the user to zoom in on objects with magnification up to 2.8 times when compared with unassisted human eyesight. The gadget was originally created under DARPA where the lenses were supposed to become a part of enhancing soldiers’ vision program. The first model was released in 2013 and the latest prototype has been shown off by Eric Tremblay from EPFL at the American Association for The Advancement of Science (AAAS) annual meeting. 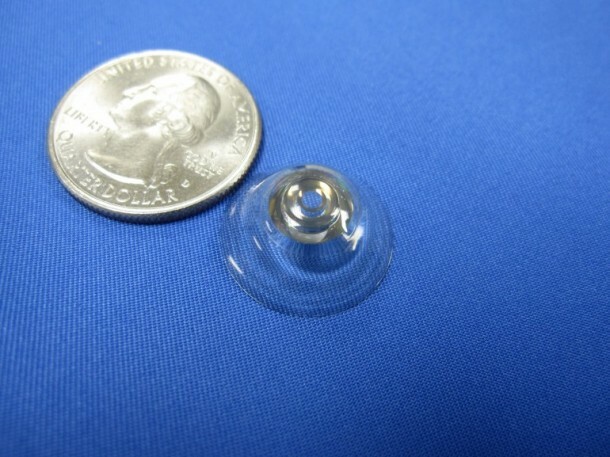 These contact lenses are up for civilian use as well for those who suffer from Age-related Macular Degeneration (AMD). If you’re interested in knowing how these lenses can zoom in or zoom out then here it is: the glasses basically opt between polarization of light that makes its way to two unique apertures contained within the lens. Since the lens allows light polarized in only one direction through the vision aperture and in the other way through magnifying aperture, the user is capable of seeing the image only where the glasses and contact lens’ aperture have the same polarization. The team includes researchers from the Univsersity of California, San Diego and also researchers from Paragon Vision Sciences, Pacific Sciences and Engineering, Rockwell Collins and Innovega. There has been no word regarding when this gadget will be available for civilian/military use.